Phil has been working with Smartarts Blackpool and painter Pete Flowers on pieces for the new mental health facility The Harbour being built on the edge of Blackpool. Over the next few days, we will post some excerpts of Phil's Blackpool blogs from the summer and autumn. A complete set of the blogs and photos is at the Blackpool Arts for Health blogsite. Today, Pete brought in his jotters, which officially were records of meetings and unofficially were chock full of doodles, fields of intricate marks and cartoonish skeletons. Pete handed round some circular paper sheets (leftovers from the art game Spirograph, remember that?) and our group got busy doodling. Every so often I'd give them a word from a prepared list, to react to as they pleased. The resulting pieces were a delicious mixup of pattern, mind-map, drawing and word game. After the essential comfort/tea break, we tried an exercise which plays with the same sort of writing aesthetic pioneered by the American poet Robert Grenier. 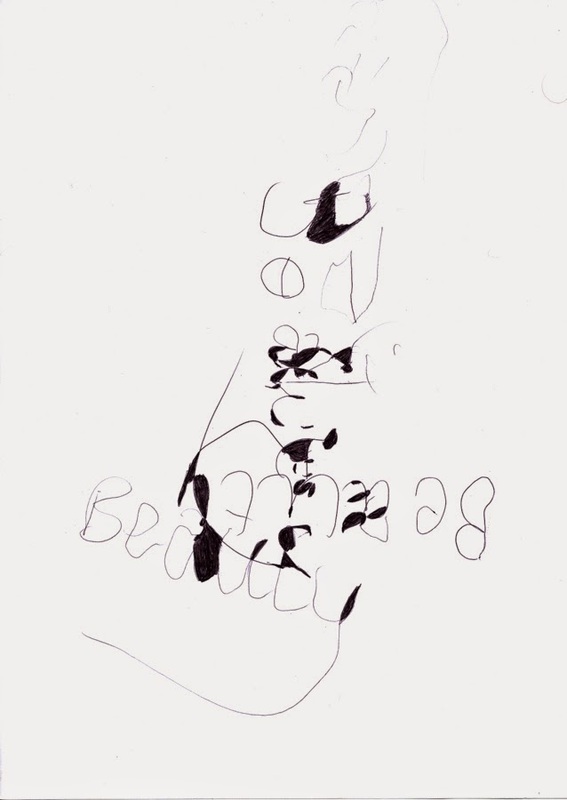 Bob Grenier's work is at first sight a series of multi-colour scribbles, but on closer looking, words can be discerned in the seemingly random marks. Here we rewrote one word "Beauty" many times, using elbows, teeth, mirror writing, anything but the usual method. 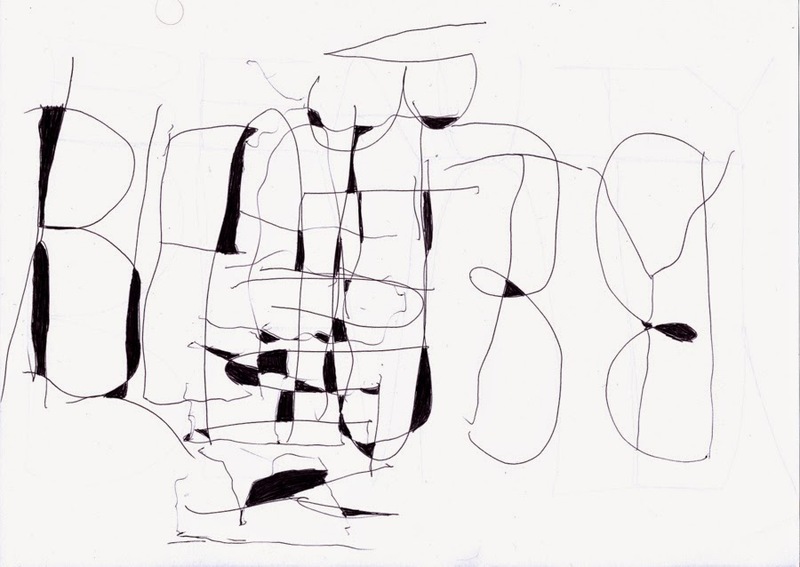 I then invited people to fill in the negative space between the overlapping letters until, beginning from one clear word, the pieces moved into abstraction into doodles, in fact. The humble doodle is an underrated artistic form it seems to me. Some of the most intense, yet most free, art-making takes place in the margins of notebooks, telephone scribble pads, appointment diaries.